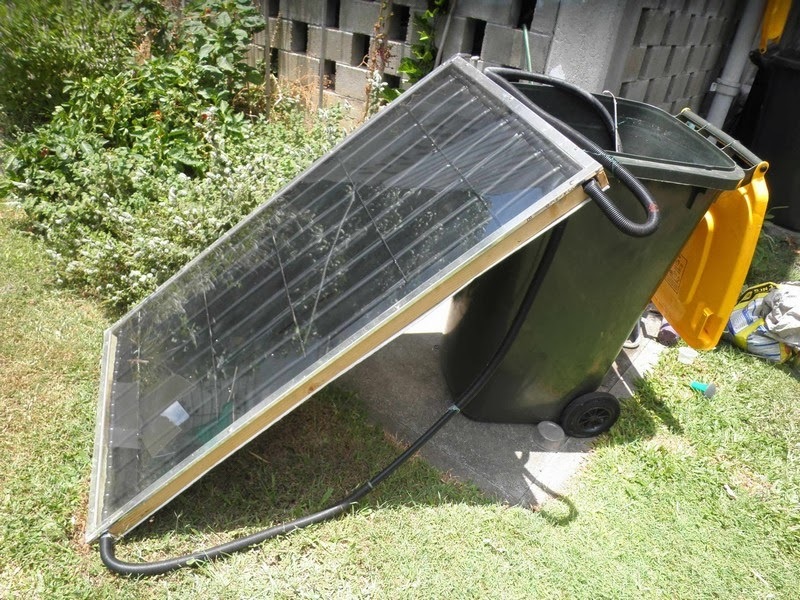 Home made Solar Hot Water system from recycled material for less than $50. 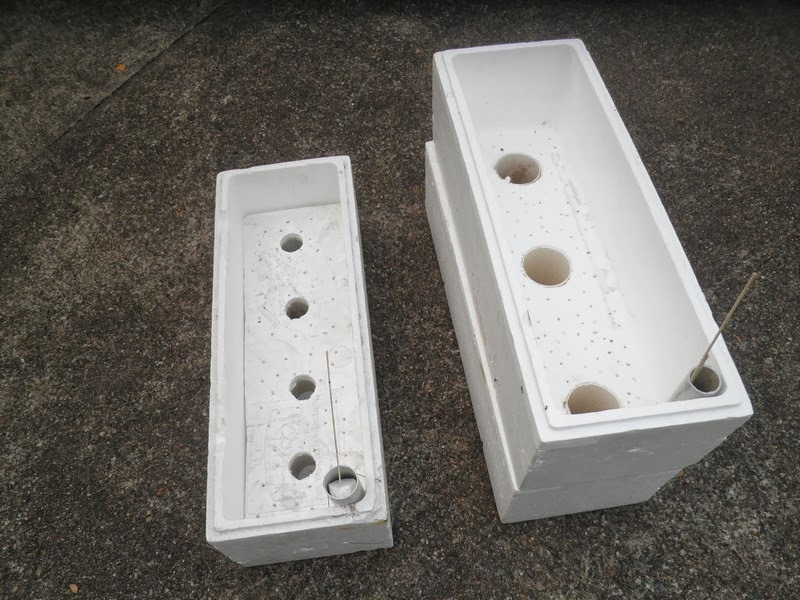 Styrofoam boxes and PVC pipes used for self-watering planter box made in 5 minutes. Rain water harvesting tanks (over 5000 Liters capacity in total) collect water from our house and shed roof into wheely bins and numerous 1kL caged tanks. From there a hose brings water to the garden where a vacuum cleaner pipe fitted with a watering can rose delivers water to garden beds. Saves a lot of walking with watering cans. Water from washing machine direct to garden through watering hose. Growing maggots on meat scraps in a tin for chickens to get extra protein. 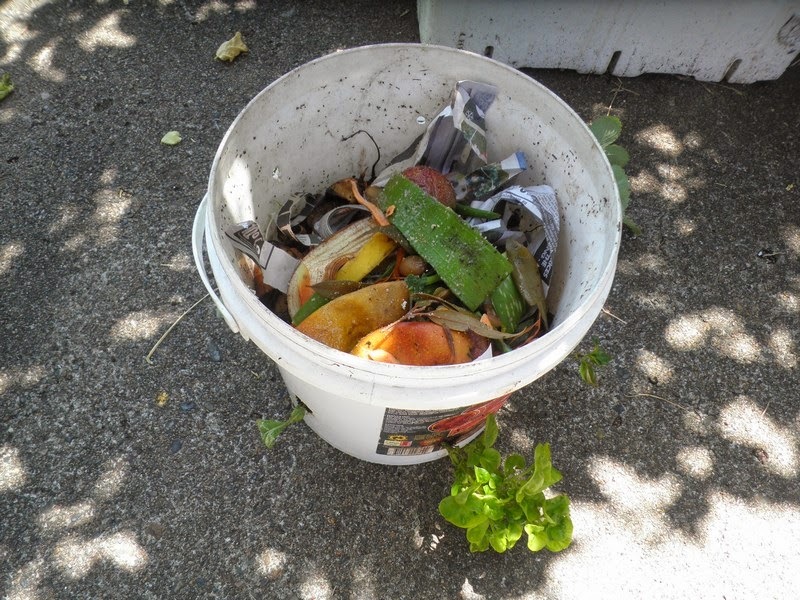 Hanging bucket as a worm farm as well as growing greens out of it is a great was to utilize fruit and vegi scraps from kitchen while picking greens out of it. It does not need to be watered as worm juice (brilliant fertilizer worms produce) is used/drinked by plants growing from the bucket.